This radio looks very much like its predecessor ,but many upgrades has been performed.. 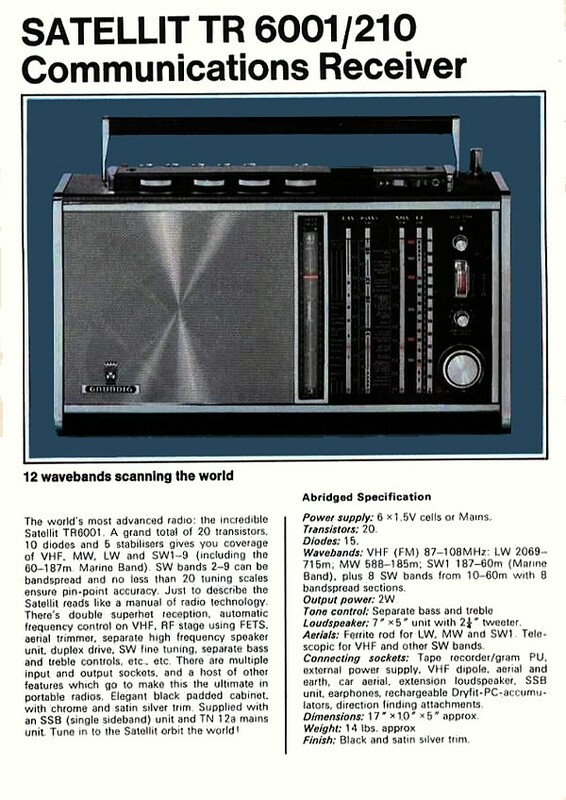 The receiver now complied with regulations for use as a "Ship- Broadcast Receiver with limited permission" (Permission= "Zulassung / Zeefunk"
Grundig made use of this fact in the marketing of the radios. The set has fastening-holes for screws on the bottom of the chassis for mounting aboard ships (etc.) ,together with separate holes for the fastening of the (optional) ,external SSB-unit. Like for the earlier models, an "amateur" model "Grundig Satellit 210 Amateur" was also manufactured. The Satellit 210 Amateur now also had a separate band-spread for 160 meters. The Satellit 210 was available in black(leather-look)/metal or wood.